Tony Rinaudo has been appointed a Member (AM) of the Order of Australia! 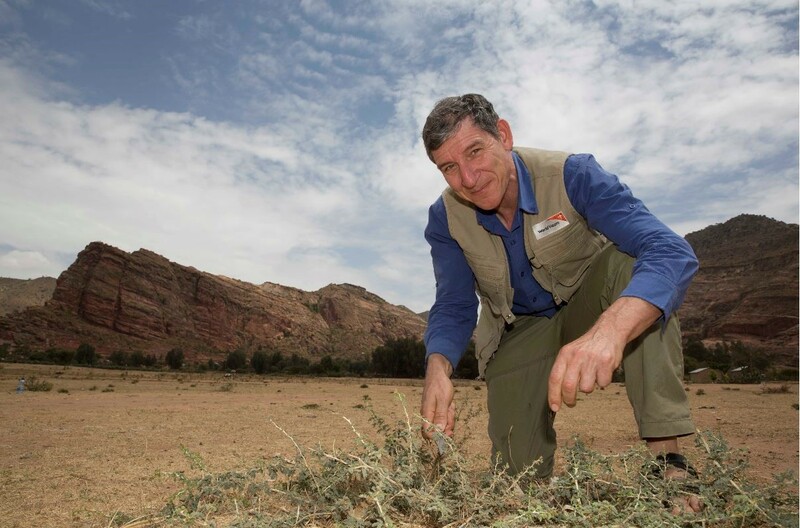 World Vision Australia’s Tony Rinaudo, 61, has been appointed a Member (AM) of the Order of Australia (General Division), after more than 35 years of working with communities to regenerate degraded lands across Asia and Africa. “I really hope it spurs a conversation about how protecting and restoring the environment should be a major part of humanitarian work,” Tony said. “Regenerating forests and farmlands doesn’t just help protect people against the effects of climate change, it also helps reduce hunger and generates opportunities to earn an income. In the 1980s while travelling through barren land in Niger, West Africa, where tree-planting efforts were failing, he discovered root systems remained alive underground, even in the harshest, desert-like landscapes. To encourage the ‘underground forest’ to grow into trees, he just needed to prune and manage the tree shoots. He inspired farmers to carry on this work over the years. Tony’s pioneering technique is called Farmer Managed Natural Regeneration, or FMNR. His work resulted in restoration of farmland, where previously desertification threatened farmers who were often hungry and sometimes faced starvation. “Most people don’t realise that having more trees on your farmland and nearby forests helps improve soil fertility and reduces rain runoff. We’ve even seen reforestation result in the doubling crop yields and in Niger, our calculations show the extra crop yields feed an extra 2.5 million people every year,” Tony says. FMNR has led to the restoration of 6 million hectares of land across Niger Republic alone – an area nearly the size of Tasmania. Through World Vision, this approach has been introduced into 23 other countries. In Humbo, Ethiopia, the results can literally be seen from space, via satellite images. “It’s such a simple solution to so many environmental and humanitarian issues. I hope Australia can become a global leader in investing in this technique,” he says. FMNR being recognised by the World Future Council under the Outstanding Practices in Agroecology 2019 award. The Australia Day Award comes just months after Tony received the prestigious international award, the Right Livelihood Award, a ‘People’s Nobel Prize’ of sorts. Before moving back to Australia in 1999, the Niger government awarded Tony the ‘Commandeur du Merit, Agricole, the highest decoration which Niger bestows on expatriates, for his contribution to environmental restoration and services to humanity.